I recently worked with Footasylum to design an interactive content piece to celebrate Nike Air Max day. 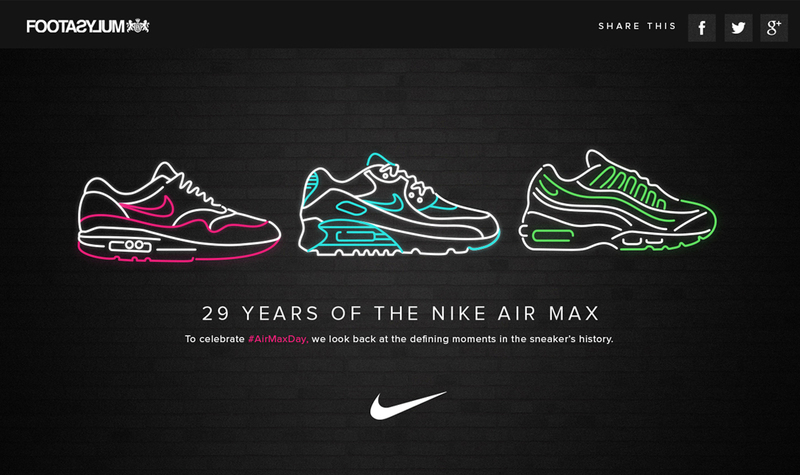 The piece explores the history of the Air Max in an interactive timeline. I created a series of svg animated illustrations, featuring the most iconic trainers over the last three decades. The designs were also used in Footasylum stores around the UK during the run of the campaign.